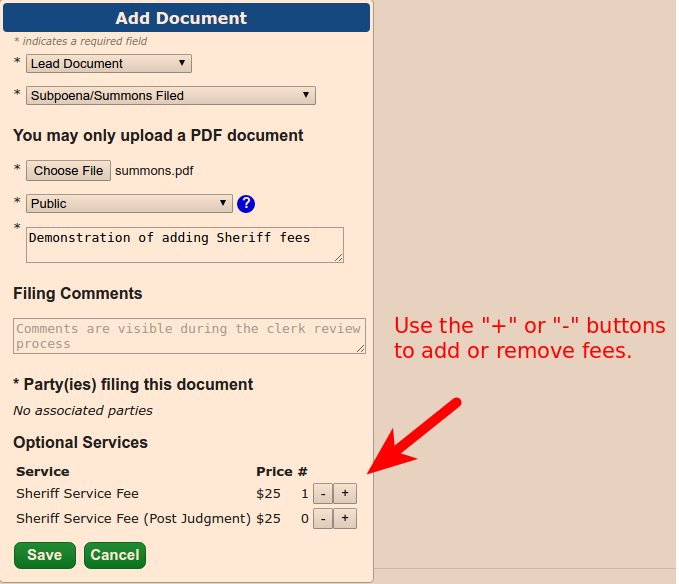 Doxpop - Tools for Attorneys and Public Information Researchers: E-Filing: Paying the Sheriff for Civil Process. It varies by county! 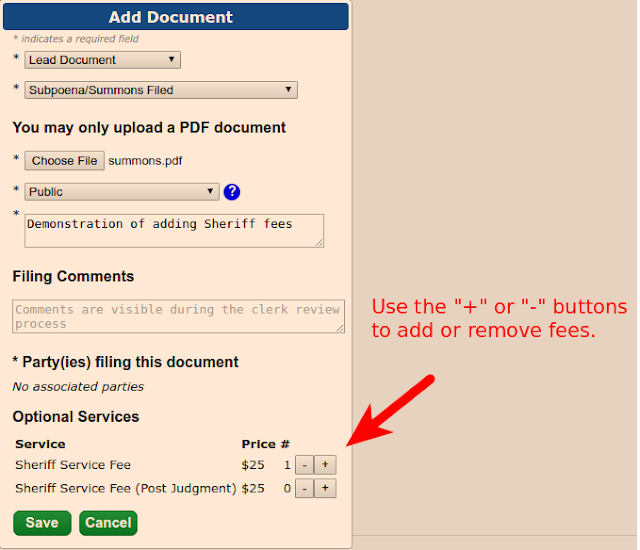 E-Filing: Paying the Sheriff for Civil Process. It varies by county! Update, 7/1/17: On July 1, 2017, new legislation took effect, and the problem described below went away. Sheriff's service is now paid for through the e-filing system in all counties. You can find complete details on the changes that occurred on July 1st here. On July 1 2016, Trial Rule 86 was changed, and among other things, now specifies that e-filers are responsible for delivering documents directly to sheriffs for service. Doxpop recently learned that county clerks handle payment of sheriff's service fees for these documents differently depending on the county. Some clerks have decided to have filers pay the sheriff directly by attaching payment to the document when you deliver it to the sheriff. Some clerks have decided to have filers to pay sheriff's service fees electronically along with the case filing fee, and then deliver the document separately. In all cases, please supply the Sheriff's civil process division with three copies of the document to be served. In situations where you pay the Sheriff directly, personal checks are generally not accepted, but business checks, certified checks, money orders or cash are accepted. * Madison county is unusual. In Madison, no sheriff's service fee is assessed for cases filed in a Madison County courts, but out-of county filers seeking service in Madison will need to pay the Sheriff directly. When we e-file using Doxpop will the system not allow us to pay for service if we are to pay separately? Or do we have to look it up each time if we file statewide? I'm sorry, I missed this comment when it was posted. The option to pay through the e-filing system is presented if a table that is controlled by the State indicates that it should be available. Unfortunately, they have not updated this table for all of the counties, so this is not a completely reliable method for learning about local policies. Sorry!